EDGEFIELD, S.C. – One of South Carolina’s historic towns is bringing the past to life during The Edgefield Experience: Living History Saturdays this Saturday, April 13 from 10 a.m. until 5 p.m. The event offers artisan demonstrations, cemetery tours, a re-enactment, farmers and artists market and a Jazz & Blues Festival. The Edgefield Experience: Living History Saturdays is the first of what will be a regular monthly event held every 2nd Saturday of every month. The town was inspired to create this event as a way to share Edgefield’s colorful and charismatic history with the public. 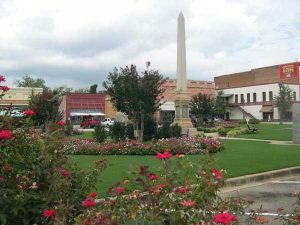 The small town indeed has been the center of South Carolina history since the beginning, with European settlement beginning here in the 1750s. From the Cherokee War in 1760 to prohibition, Edgefield does not lack a variety of stories to tell. 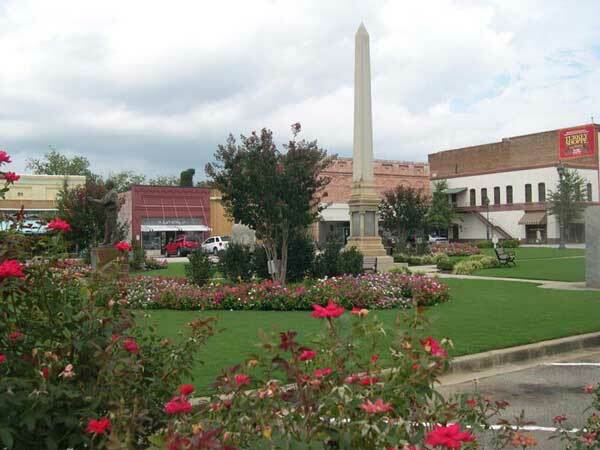 All activities for The Edgefield Experience: Living History Saturdays are all located throughout downtown Edgefield located at Courthouse Square. For a full schedule of events, prices, locations and more information visit www.facebook.com/visitedgefield or call 803-637-4010. This class focuses on conducting genealogical research in Edgefield County. The presentation will last an hour, and assistance from the library will be given afterwards until 1:30PM. The Tompkins Library is the headquarters for the SC Genealogical Society and the Old Edgefield District African American Genealogical Society. Pick up some local produce, plants and food on the town square! Learn how workmanship and artistry has always been a part of Edgefield’s past with live demonstrations in carpentry, pottery and blacksmithing. All demonstrations are FREE. Local historian and genealogical researcher Tonya Browder will guide you through Willowbrook Cemetery, the resting place for many notable people in South Carolina and Edgefield history. The same tour is offered at 4pm. See what happened more than once in Edgefield when trial outcomes were disputed! This particular incident occurred on April 19th, 1875. Mitchell O. Glover won a court case against two tenants on his farm, William and Lafayette Stevenson. Upon leaving the courthouse, the Stevenson brothers started a verbal affray with Glover, which resulted in a gunfight that left Glover dead and the Stevenson brothers wounded. Over fifteen shots were fired and the Stevensons were arrested and lodged in jail. Local historian and genealogical researcher Tonya Browder will guide you through Willowbrook Cemetery, the resting place for many notable people in South Carolina and Edgefield history. The same tour is offered at 11am. The Purple Fence is a new visual and performing arts venue that has opened in Edgefield! To celebrate, they are hosting a Jazz & Blues Festival with music from Dave Morgan & The Hollerers (5pm) and Mike Frost Jazz (8pm). Wine, beer and hors d’oeuvres will be served. DON’T FORGET TO VISIT ALL OF EDGEFIELD’S ARTISTS, SHOPS AND EATERIES!